Mumbai, India – May 4, 2017: Larsen & Toubro Infotech Ltd. (NSE: LTI, BSE: 540005), a global technology consulting and digital solutions company today launched its new brand identity as LTI. 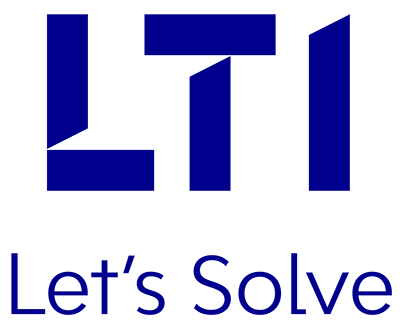 Encapsulated in the tagline ‘Let’s Solve’, LTI looks to partnering with clients to help them compete better in a world where digital and physical are converging. The core idea of the brand, ‘Pioneering Solutions in a Converging World’ drives entire organization to design, innovate and invest in solutions that help clients accelerate digital transformation. The new brand identity of LTI exemplifies the rapid progress made by the company across all dimensions during last several quarters. The company launched Mosaic platform with componentized solutions for digital, analytics, IoT, automation and cloud. It got listed in July 2016 unlocking stakeholder value and it acquired AugmentIQ in November 2016 to deepen its big data and analytics offerings. LTI continues to invest in building capabilities that its clients in various industries require to compete better. The new visual language is designed around the concept of ‘Mosaic’ – an imaginative representation of how LTI brings together the power of exponential technologies to deliver real business outcomes. The colors blue and orange are derived from the horizon, the ultimate symbol of convergence where the blue ocean and amber sky meet. This dynamic, modern and agile visual language infuses renewed energy to every touchpoint symbolizing LTI’s passion for client success. LTI’s key beliefs drive all the actions of more than 20,000 LTItes, inspiring them to go the extra mile for clients, be agile, push the frontiers of innovation, keep learning in a changing world and to solve for the greater good of society. Founded as a subsidiary of the Larsen & Toubro group, LTI brings unmatched real-world expertise placing it uniquely to partner with enterprises across industries. LTI is celebrating its 20th anniversary in 2017 and the new brand positions the company to compete effectively in the years ahead.